BERLIN – Germany is targeting online traders from China who sell to goods in Germany but do not pay any tax. 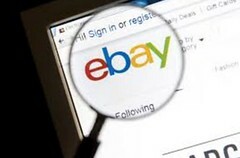 The government of Germany is proposing new measures which would see the burden of ensuring tax compliance online shifted to the likes of Amazon and Ebay. The new measure would require online commerce platforms to become responsible for ensuring that third-party traders meets their VAT obligations for trades and sales which occur in Germany. The proposed rules would require platforms to collect information about the third party traders, which could then be passed to tax authorities, who will investigate whether the traders are meeting their obligations. Further, any noncompliance with requirements could then become liable for any tax dodging by traders. The requirements would apply to traders regardless of whether they have an established base and offices in Germany or not. There is no complete estimate on how much is tax revenue is lost to VAT evasion, however, estimates have placed the figure at between EUR 100 million and EUR 1 billion. Every year there are as many as 24 000 traders from China and Hong Kong selling to German consumers via Amazon alone.